SOTIs MDM software MobiControl enables full control over almost all mobile devices used in a company regardless if there are 10 or 10,000. After an incredibly simple activation process, MobiControl allows not only software installation via remote access, but also data exchange, monitoring and updates. 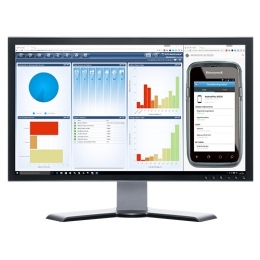 Central control via the web panel solves many problems when simultaneously administrating a larger amount of MDAs, smartphones, tablets or laptops updates, uniform safety standards, user group licenses, data synchronization, email management - everything may be comfortably controlled and administrated using MobiControl. Here alone the amount of time saved is already enormous. Should a user have problems, the Remote Support function comes into play devices with MobiControl can be diagnosed remotely, and, if necessary, be repaired directly. Hardware that is lost, irreparable or no longer in use may be locked and fully cleansed of all company data, without the device having to be physically on site with IT. Since the MobiControl licenses are not bound to any device, you easily replace such devices. Users simply carry on their work with the same settings and applications - without any time loss at all.